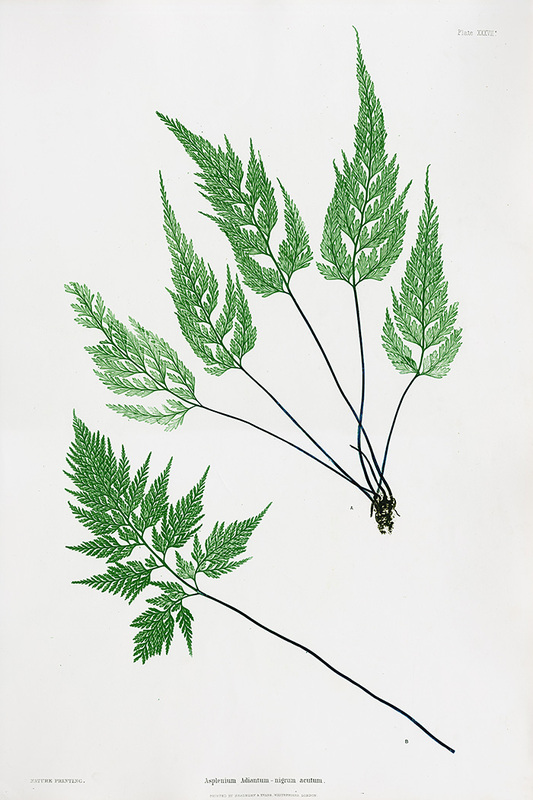 We are delighted to offer prints from “The Ferns of Great Britain & Ireland” by Bradbury and Evans, published in 1855. These intricately detailed prints were created using the “nature-printed” process developed by the Austrian Alois Auer and perfected by Henry Bradbury. In this unique process a plant is pressed into a plate of soft lead, leaving an impression from which an electrotype is made. 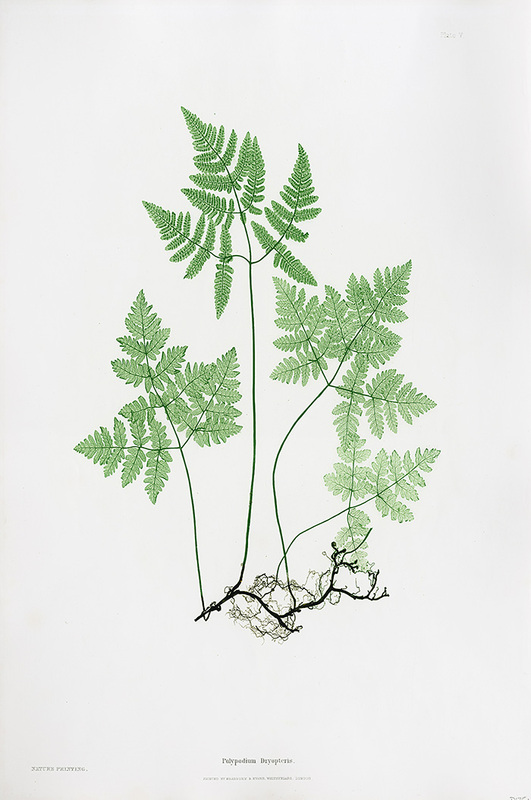 The resultant prints are incredibly life like and true to nature, capturing the fine detail of each fern without the interpretation of an engraver or artist. 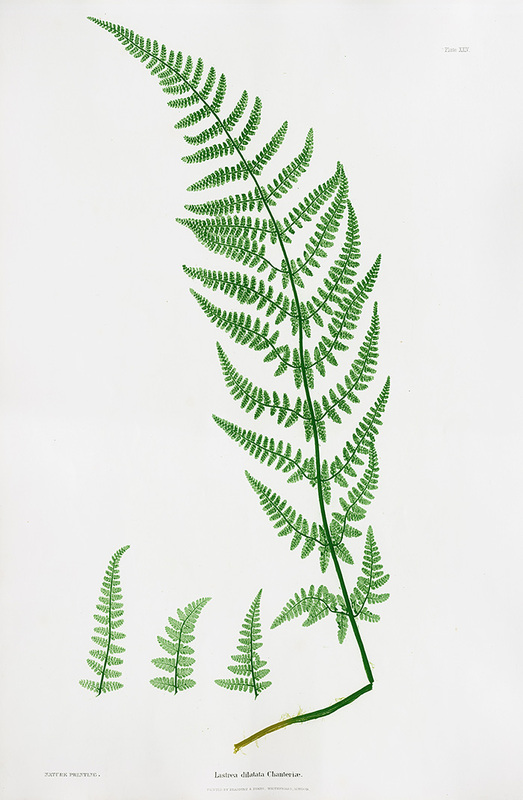 The beauty of the ferns is startling, as it is nature printing at its very pinnacle. On many of the prints, it is possible to feel the raised surface of the inks used. No web image can completely capture the subtle detail, but the pictures provided are as accurate as possible, so please inspect them carefully. Each print is clean & still white, measuring approximately 14 inches wide by 21 ½ inches long.